Chennai, Jan 18: Ahead of the crucial Lok Sabha election, Senior AIADMK leader and Lok Sabha Dy-speaker M Thambidurai on Thursday quashed the possibilities of poll understating with BJP. 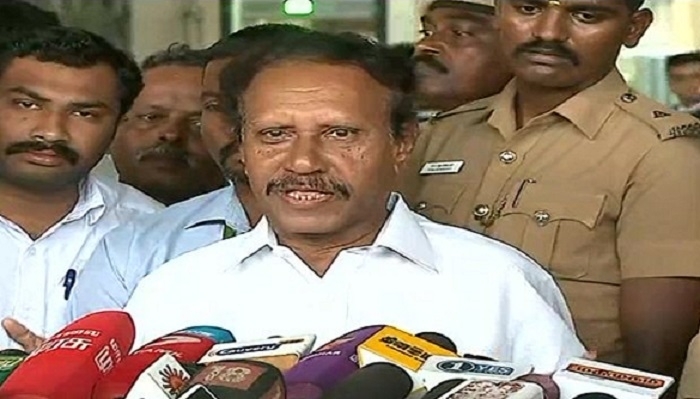 Speaking to the media, Thambidurai said that the ruling party will not have any kind of pre-poll tie-up with BJP. Dubbing media reports on AIADMK- BJP alliance as a joke, the senior leader clarified that AIADMK will not allow BJP to make inroads into the turf of Tamil Nadu. Earlier, veteran economist and RSS thinker S Gurumurthy suggested that AIADMK and BJP should join hands for the 2019 Lok Sabha Polls. When quizzed about S Gurumurthy’s alleged proposal, the Lok Sabha Dy-speaker said that the apex AIADMK leaders will take the final call on election affairs.